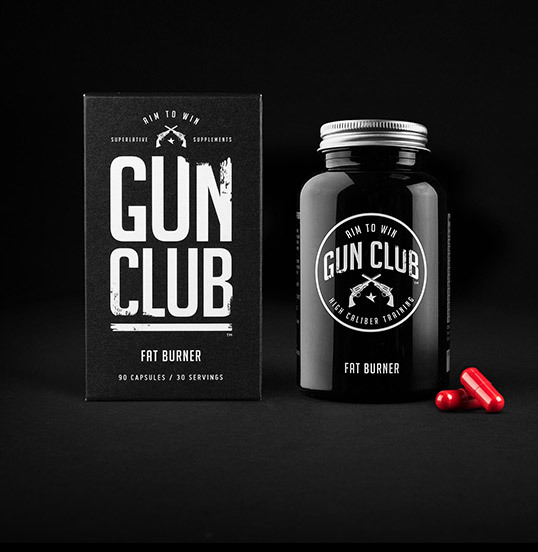 “Robot Food was tasked with creating a training supplements brand. In a crowded marketplace characterised by machismo, pseudo-science and gimmickry, the challenge was to enter the sector as a clear winner. Not just a contender. Robot Food spotted an opportunity early on. They identified that, although men invest a lot of time going to the gym to look and feel good, there was no brand that truly ‘gets’ them, speaks their language and embodies their lifestyle. 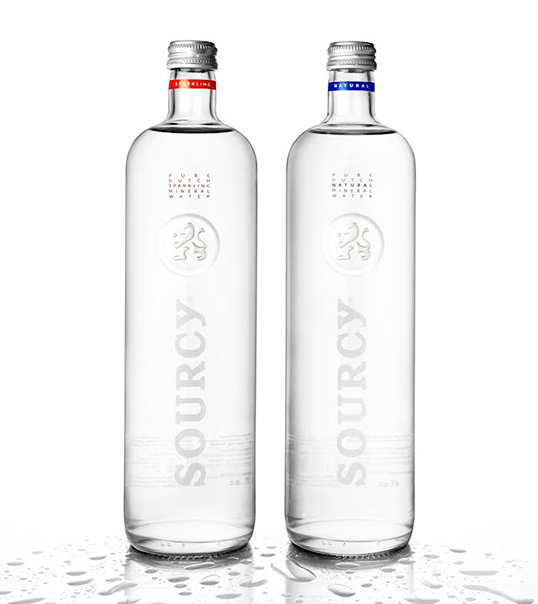 “Brief: due to its strong position in the restaurant segment, Sourcy is one of the most well known mineral water brands in the Netherlands. 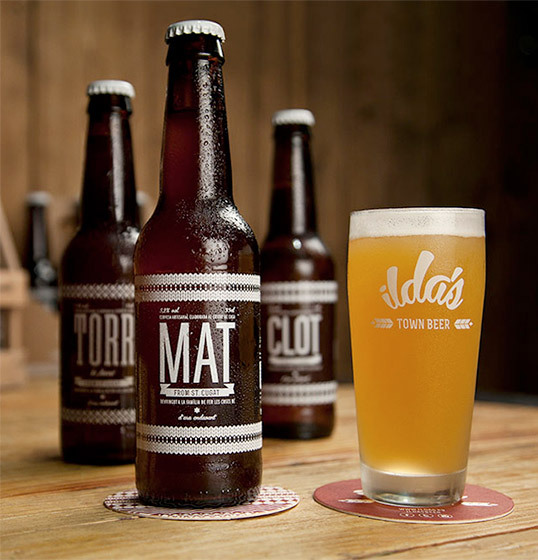 In recent years the brand’s packaging strategy has been to develop separate bottle designs for high quality and mainstream restaurants. Aside from high production and logistical costs, this has not helped maintain a clear brand image for Sourcy. 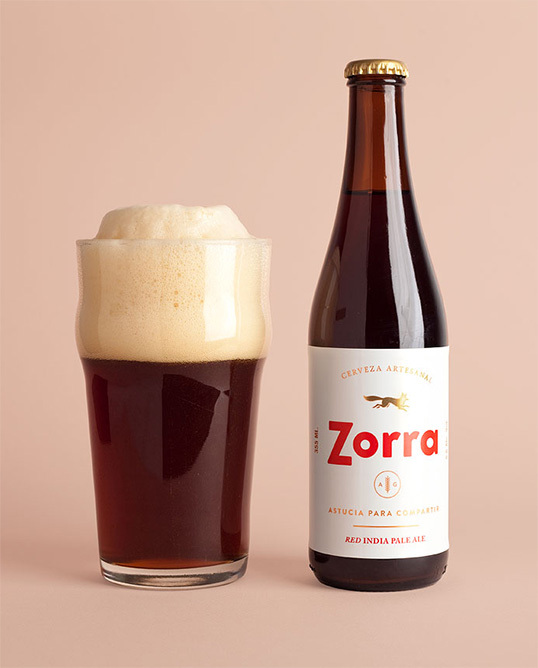 As such the design agency was briefed to develop a new iconic glass bottle – a clear reflection of the brand’s core values befitting of every dinner occasion, whether a high quality restaurant or mainstream outlet. – The bottle design must be suitable for carbonated mineral water and fitting within Sourcy’s current standard bottling lines. – Respect market colour codes – blue for non-carbonated and red for carbonated water. – Visible colour coding at the top of bottle to avoid restaurant personnel serving the wrong water. 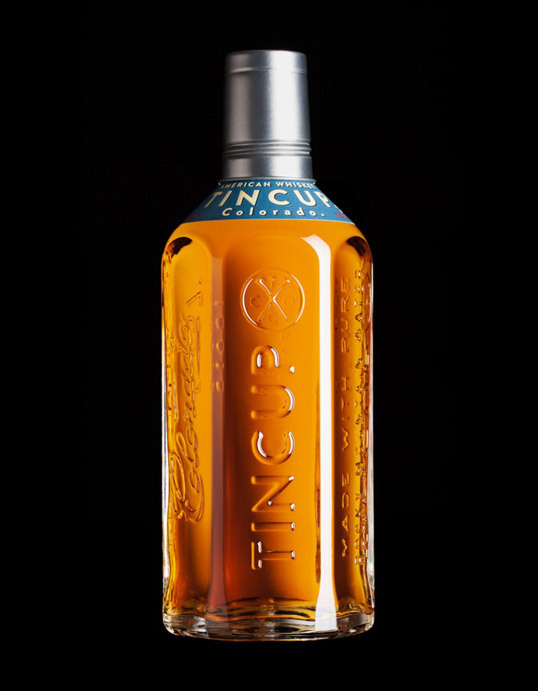 Creative solution: as a strong established brand coming from one source the creative solution was to develop one iconic bottle. A bottle that supports the quality of Sourcy mineral water and respects the quality of it’s customers. The new stylish outer shape is enriched with a deep embossed lens that serves as a podium for the brand’s lion emblem and symbolises the purity of the mineral water. The lion emblem, together with the higher shoulders of this new bottle, reflect the proud character of the brand. “Sourcy Pure Dutch” goes back to the essence, iconic without fuss, elegant yet understated. 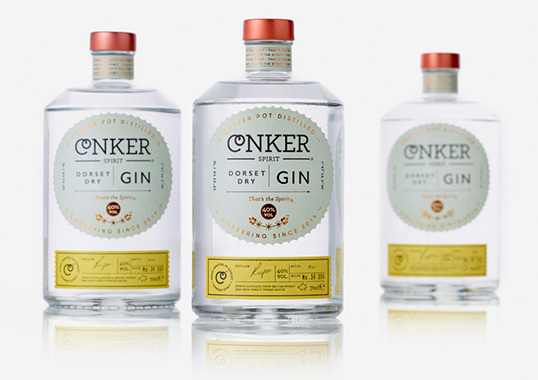 “Interabang have just completed work on the brand and packaging for Dorset’s first gin distillery – Conker Spirit – after being approached by the founder Rupert Holloway. Free from the constraints of tradition Conker are in pursuit of the new and exciting, with a ruthless focus on quality, and they wanted their bottle to reflect this. 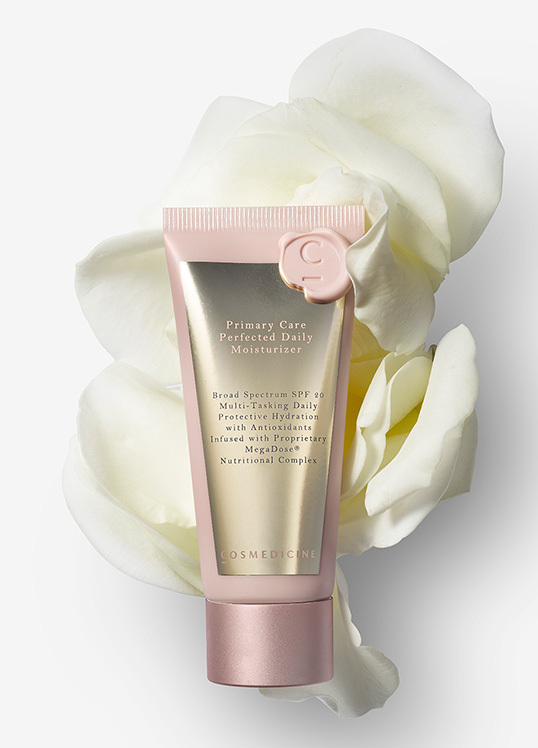 Design cues were taken from the name, which inspired the shell-like shape of the main label. The name also led to the ‘CO’ ligature in the word marque (a graphic conker on a string), which is used as a visual shorthand for the brand. 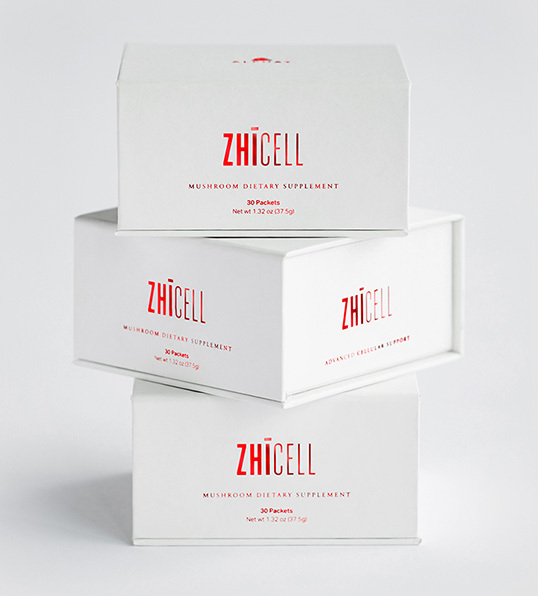 “The target audience of this product became young people who lead an active lifestyle, trend makers, those who live a full life. 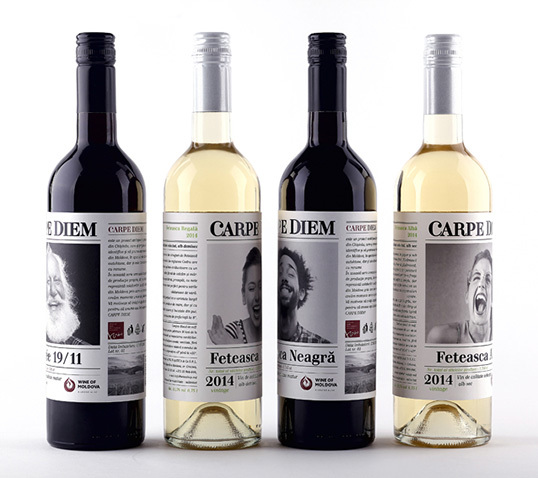 The customer and the wine author itself were ready for a new, creative approach for a product design, and the client addressed several agencies before settling upon a concept offered by our studio. 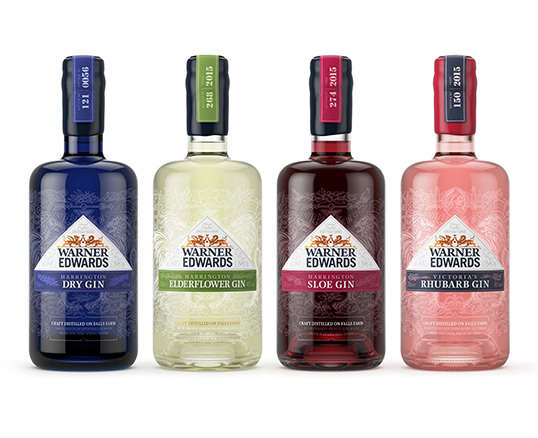 “Biles Inc. were appointed by Warner Edwards to create the brand strategy for their super premium gin, following a four way strategic pitch.